FM Associates is a leading FileMaker development company based in the San Francisco Bay Area. Over the past 20 years we have designed, deployed and improved over 200 databases. Our customers include public and private schools, real estate brokers, pre-fab structural builders, wine industry enterprises, investigative and evidentiary companies, expert witness, apparel, livestock ranches, talent agencies and liquor control companies. These organizations all turned to FM Associates’ for easy-to-use FileMaker-based tools to help them better run their organizations, provide improved products and services, reach more people, grow their revenues, control their expenses and make better decisions. 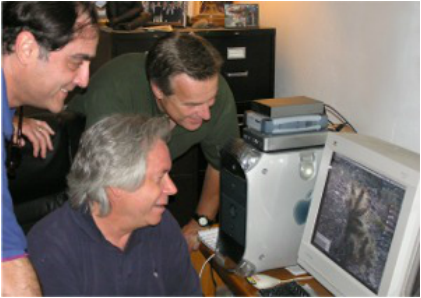 FM Associates started with two engineering college roommates (Forrest and Lee) that were fascinated in solving puzzles and working on databases. The company grew as we discovered that a nice, complex database is like an absorbing puzzle, with all kinds of challenges to solve. It's also a lot of fun to create a database that fits a client like a glove - so that they can sit down and intuitively start using it with minimal instruction.